Founded in 2001, Gravity Co. started out as a side project, working on the soundtrack to the computer game Trans, side project turned to full-time and they haven't looked back since. 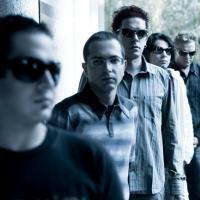 In early 2002 Gravity Co. made their debut, releasing their first single 'Away' accompanied by an art-school style video directed by Gravity Co.'s Producer Georgi Stanev. The bands first try topped MM TV's (Bulgaria's most popular music television) International Airplay Chart, holding on to the #1 spot for three consecutive weeks. 'Away' would later be included in NovaXposure - the monthly compilation released by 'Radio Ventures' with songs by Elton John, Sarah Connor, Alcazar and others. Gravity's second single 'Mr. No One' would set the critics straight, as to the bands potential, taking a play-list space in BMG's official weekly video compilation, alongside Carlos Santana and Christina Aguilera. The band stretched the boundaries further when Bill Withers granted official permission to record and release a cover version of his all time classic Ain't No Sunshine. 'Away', 'Mr. No One' and 'Ain't No Sunshine' all made the cut for Gravity Co.'s highly anticipated debut album'U' released December 13th 2002. Gravity, have since been identified by an original electro pop sound, with warm vocal melodies over pumping electro beats. An instant success, 'U' brought home the first music awards - 'Best Debut' and 'Best Pop/Dance Album', from MM TV's annual awards (the Bulgarian equivalent of the Brits). Having released two celebrated albums, known for their engaging stage antics - performing full capacity venues and supporting the likes of the Stereo MC's, Fun Lovin' Criminals and more recently Ladytron - Gravity Co. teamed up with a wide range of popular Bulgarian DJ's to remix some of the band's hits.